To support USAID/Kenya’s mission to empower youth as envisioned in Kenya’s 2010 constitution, YYC developed peaceful leaders among 18-35 year-olds while improving the youths’ socioeconomic status. 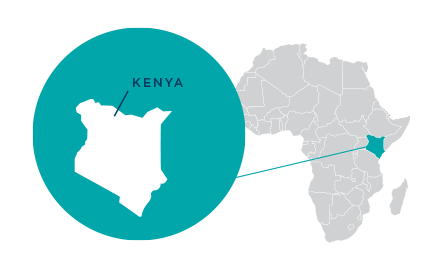 NCBA CLUSA implemented YYC in Nairobi and the Coast Regions. YYC gives youth the leadership and entrepreneurial skills to govern their own programs, constructively engage with key government and community actors regarding issues that affect them, and engage in livelihood activities. YYC emphasized the participation of women by increasing young women’s access to basic literacy, numeracy, and entrepreneurship training, ultimately enabling them to become empowered social and economic actors. YYC’s core consisted of facilitating the creation of youth “bunges,” locally registered youth parliaments, that work together with government institutions to represent the voice of youth in the community. Spearheading the “My ID, My Life” campaign in the Coast region, YYC enabled youth to successfully obtain ID cards that allow them to vote, gain access to services such as financing, and access improved employment opportunities. 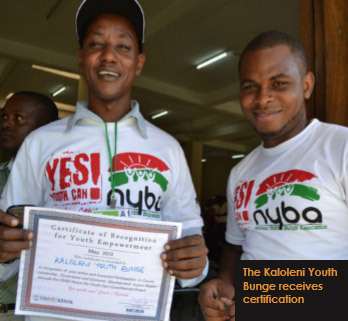 YYC also established youth Savings and Credit Cooperative Organizations (SACCOs), connecting youth bunge members to finances in order to support their economic livelihood projects. These young Kenyan mothers know that vegetables and legumes would improve their health and boost their production of breast milk for their infants; they receive nutrition information from the staff at the health clinic. “This child is underweight, you must eat nutritious foods if you want your child to have enough milk — the doctor would always say,” recounts Mary Were. Mary’s problem, like so many other young urban Kenyans, was having neither the money to purchase nutritious food nor the land to grow it themselves. The young mothers were brought together through Yes Youth Can!, a catalyst for Kenyan youth to organize themselves into youth bunges, the Kiswahili word for parliament. Mary’s bunge, in the Changamwe neighborhood of Mombasa, provided a forum for youth to find solutions to their common problems. Empowered, Mary and the other young mothers in the group asked the head doctor at the health clinic if they could use the land in the clinic compound to grow vegetables and beans. The group purchased seedlings, plastic bags, and with manure collected from chicken sheds, they started balcony farming. Now the young mothers grow a variety of vegetables and legumes. They sell what they do not eat. Profit is divided equally among members, and each participant can earn as much as $30 per week. 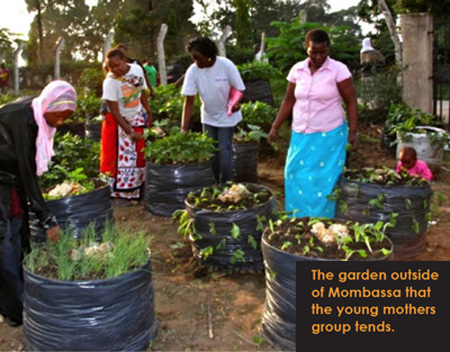 Since the Changamwe youth bunge is registered with the Government of Kenya as a Self-Help Group, the group is eligible to receive support from the Ministry of Agriculture, which provides extension service training, seedlings and other inputs. “Without mobilizing ourselves as youth, we would never have met to start balcony farming. Our children would not be as healthy as they are now, and we wouldn’t have enough money to buy other nutritious foods. We don’t sleep hungry anymore and our children are growing healthy and strong,” says Mary Were.